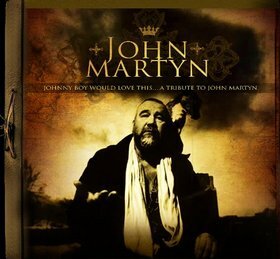 Available on Johnny Boy Would Love This... A Tribute To John Martyn. "Stormbringer" can originally be found on Martyn's album, Stormbringer!. Beck had covered Martyn's "Go Easy" in the past, and is one of Beck's influences, especially on his '70s folk Sea Change sound. Then in 2009, John Martyn unfortunately died. A tribute album was put together a year or so later, and Beck donated a cover to the set. However, this was not the version recorded back in 2006 (if one exists), but a newer one. Despite being much newer, Beck's recording is reminiscent of Sea Change in its sound. So far the only song we have released from these Nashville sessions Forget Marie". Beck also said in an interview that he did a Johnny Paycheck song, as well as a Louvin Brothers song. All other songs are unconfirmed, but could likely include "You're Running Wild" (probably the Louvin Brothers song), "Stormbringer," and "Winter Is Blue."